Houston was shut out for the eighth time this season on Friday night in a 3-0 loss to Anaheim. All of 2017, they were shut out six times. Perhaps nothing sums up the offensive drought this year more than to note that the 2017 team batting average (.282) has shrunk a full 25 points to .257 in 2018. And that was prior to the six-hit shutout at the hands of Jamie Barria and friends on Friday. Of course, the Astros' pitching has been outstanding this year which accounts why this team still leads the division. The Astros had a beef with umpire Eric Cooper's strike zone all night and it led to Manager A.J. Hinch getting tossed after Marwin Gonzalez exploded in rage during the fourth inning and Hinch dashed out to protect his fuming player. The gambit worked as Hinch got the thumb while Marwin stayed in the game. Framber Valdez, making his second big league start, deserved a better fate than the loss he received. Valdez tossed five scoreless frames before issuing a walk to Kole Calhoun to start the sixth and was then replaced by the normally dependable Collin McHugh. Next came an errant pickoff throw and a base hit before Mike Trout launched a sacrifice fly for the first run of the game. Later that inning, Andrelton Simmons drilled a two-run homer to left center and that turned out to be all the runs of the ballgame. 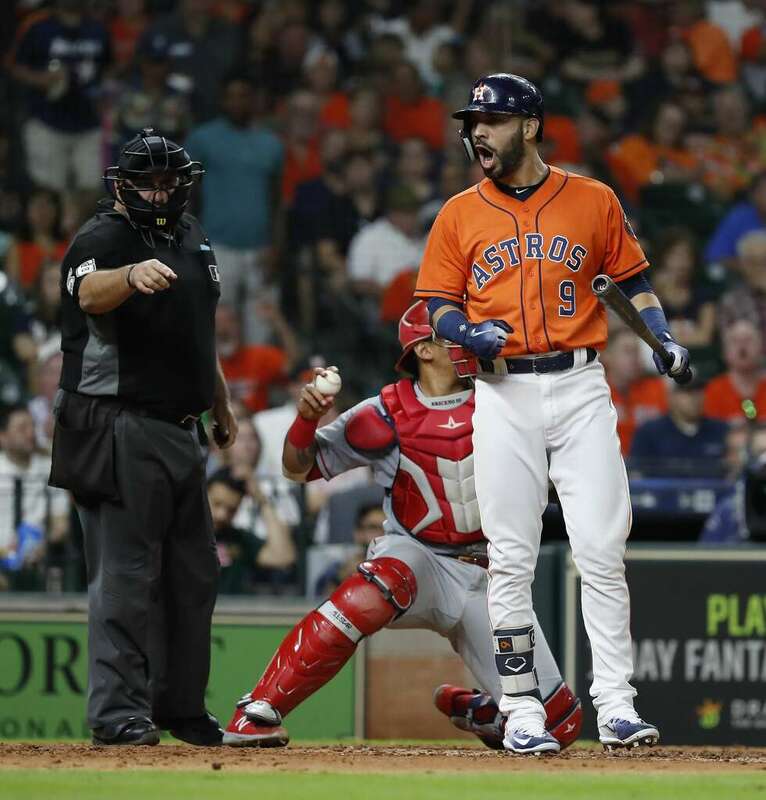 Barria scattered three hits and a walk over six innings but the Astros had chances to make a comeback in the eighth and ninth innings before being shut down. Particularly galling was the eighth when Josh Reddick opened with a single and pinch-hitter Tony Kemp cracked a double with nobody out. Ty Buttrey then struck out George Springer and walked Alex Bregman to load the bases before Jose Altuve fanned and Carlos Correa popped out to end the threat. Blake Palmer was bailed out by a double-play grounder in the ninth to preserve the six-hit shutout with his 13th save. Oakland outlasted Seattle on the West Coast to pull within 1-1/2 games of the Champs in the A.L. West. Saturday's 6:07 pm Central contest will be one of those unpredictable duels. Josh James, who will join the club Saturday as rosters are allowed to expand beyond 25, will get to start on the mound for Houston. James will take Charlie Morton's spot in the rotation. The 25-year-old draft pick from Western Oklahoma State College has struck out 171 batters in just 114-1/3rd innings this year at AA Corpus Christi and AAA Fresno so the Astros are eager to see how he'd perform on the big stage with his stuff. Opposing him will be Felix Pena (1-4) although it was rumored we would see Shohei Ohtani pitch for the first time since June. After having swept the Halos at the Big A, it is perplexing the same club can barely score off them back home where the Astros are an underwhelming 35-32 this season.